Platformers: Making A 90s Comeback? Mario and Sonic lead the charge, just like the old days. This is probably wishful thinking, but 2011 feels like the year of the platformer. Nintendo unleashed Super Mario 3D Land, Sonic Generations was quite good (cross your fingers the 3DS version measures up), Skylanders: Spyro's Adventure 3DS was a treat, and Rayman Origins is just delightful. You can never go wrong with Mario. On top of that, the genre has gone through a small renaissance of sorts on the iPhone and iPad, with games like INC, Stardash and even Requiem, which puts a Jumping Flash spin on things with a first person perspective. 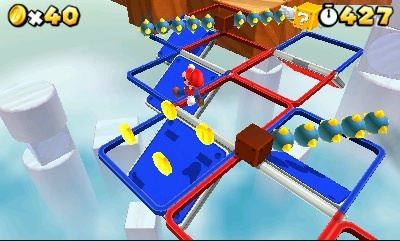 Of course, platform games never disappeared entirely; we've spent considerable time enjoying various Mario titles. They simply gave way to bigger trends, like MMOs and first person shooters. In the 90s, however, platformers were king. 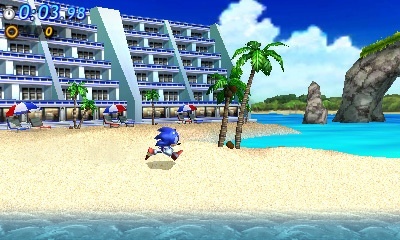 Sonic Generations 3DS arrived less than two weeks after Mario. Super Mario Bros., and even Donkey Kong before that (both debuted in the 80s), helped lay the groundwork for the platform explosion, but Sega really kicked things into high gear with the original Sonic the Hedgehog on Genesis (1991), from which, a variety of copycats were born. It seemed like multiple companies just had to create a furry critter with attitude. Either that, or at the very least, have some sort of animal mascot. Thus, we had Aero the Acrobat and Bubsy, as well as Gex. Almost everyone had a platformer, and rode the wave for years attempting the pick up the scraps that Mario and Sonic left in their wake. Make no mistake, that decade saw not only the greatest collection of platformers, but also some of the best video games in history. Super Mario World. Super Mario 64. Sonic the Hedgehog. Sonic the Hedgehog 2. Sonic the Hedgehog 3. Sonic & Knuckles. Kirby's Adventure. It's a big list of hits, and odds are good that you owned or played at least one of them. The genre showed signs of life over the past several years, particularly with Capcom's Mega Man 9 and Konami's Rocket Knight, but it's clear the platformer lost considerable steam it may never reclaim. 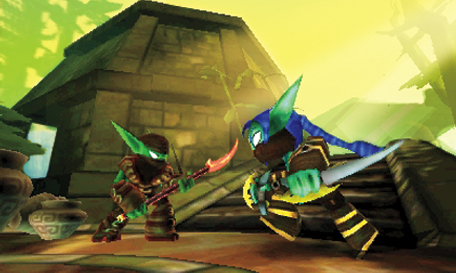 Skylanders was a nice surprise. At least on the positive side, some of those aforementioned games will probably achieve huge sales. Mario has already been a big hit in Japan, while many U.S. retailers have had trouble keeping Skylanders in stock. Only Rayman: Origins stands to sell at a loss, unless Ubisoft comes to its senses and reduces the $59.99 asking price. Will success trigger a platform revival? Probably not, with the likes of Grand Theft Auto 5 on the horizon and Call of Duty: Modern Warfare 3 selling in excess of five million copies in a single day. It's sure nice to dream though.